Shanghai’s fourth annual Regional Burn, affectionately called Dragon Burn, took place from June 27-30, 2017 in the scenic forests of Anji, China. 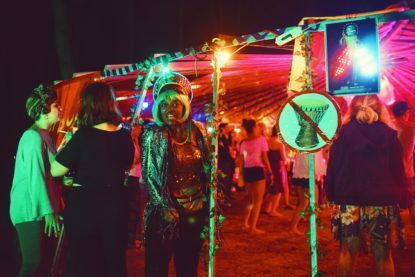 The event drew over 400 participants and included many new Theme Camps, a dual purpose Mutant Vehicle and mobile DJ stage, and the first ever temple, known as The Fire Lotus Temple. Here’s a gallery of images from this year’s Burn; all photo credit to Tutu 胡堃. Enjoy!